Adidas has a pretty spiffy Flash-based custom sneaker builder app at miadidas.com. 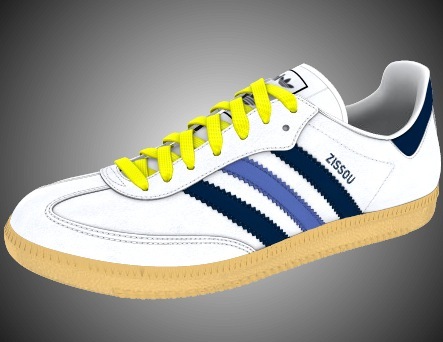 I’ve wanted a pair of Team Zissou Adidas since I saw the movie, and now I can get a pair. Yay!